It is very likely that a lot of people you know have been on a diet (or two) at some stage in their lives. Nowadays that’s just the way it goes… being on a diet is something completely natural! Quite often that doesn’t mean though that whichever diet is being followed is natural and healthy. On the contrary, most diets do not let you lose weight naturally, but recommend some weight loss substitute or pill, have an extreme way of cutting or changing your food intake, or you might even have weight loss surgery to get to your goal weight. Talk about a natural weight loss – not! One of the best decisions you can make is to lose weight naturally. If you have been reading my blog, you will know that I am a believer in healthy and natural weight loss. Not with lotions and potions, pills and surgery or unnatural eating behavior, but by changing your eating habits and therefore your current lifestyle. This is the only healthy and successful way to a permanent and sustainable weight loss. If you have made that decision, you are on the right path! 1. Try the Low GI (Glycemic Index) Diet. This is a diet I discovered after 20 years of “losing weight” and it is a very balanced, easily achievable, healthy plan that really makes sense. 2. Drinking at least 8 glasses of water a day. Start with having one straight after getting up in the morning. 3. Eating plenty of vegetables, lean meats, fish, eggs, nuts, seeds, legumes and beans. Fruit in moderation as it is high in sugar and therefore carbs. 4. Moderate Exercise – walking. Try to walk 1/2 hour every day. And take the stairs instead taking the lift, or park your car further away from the shops; you know what I mean. Every little bit helps! 5. Make your snacks protein (egg, little bit of tuna from the can, chicken, sliced ham…). Yes, you read that right. If you have to have a snack that is not just protein (like yogurt, nuts, fruit (fresh or dried), raw vegetables, cottage cheese etc), make sure you eat some protein as well. This will keep your metabolism firing. 6. Eating your biggest meal in the morning or for lunch, and your smallest meal at night. 8. Eat every 2 -3 hours. This will keep your metabolism going. Eg Breakfast 7am, Protein Snack 10am, Lunch 1pm, Protein Snack 4pm, Dinner 7pm, Protein Snack 10pm – BED! 9. Eat only very few sweets, or try to avoid them altogether. If you have to, have a small piece of chocolate, but make it dark chocolate. Also, if you do eat sweets, eat them during the day; try not to eat any more sweets after 4pm (earlier if you can). 10. Be happy with yourself, with every little bit you achieve; the weight will come off easier! By sticking to these principles you will be able to maintain a healthy lifestyle and should feel more energized. The pounds will start to melt away and you will be on the best way to a “happier and healthier YOU”! More than anything else, breaking bad habits that you have had for a long time is all about your frame of mind. You need to stay in a positive frame of mind so do not leave any negative thoughts creep in. If you can keep a positive outlook on losing weight you will almost certainly be successful. You will have to set goals that you can achieve comfortably and at your own pace.The only person who knows your wants and needs is you, so you need to lose weight in a way that suits you. HI just drop b y reading this post. So pleased to read about this one; be back for more post. You can also eat apples during lunch or dinner. Apples fill your stomach faster as they contain pectin. Pectin is known to make you feel full and you will also retain that feeling for a longer time. Another great thing about apples is that they are very low in calories. Munching on apples can satisfy your hunger pangs without putting too many calories in your body.Weight loss is a difficult job. You need expert guidance. Following a couple of tips like eating apples etc, will not help much in long run. You need a step by step plan formulated by experts. The low-GI tip is good. Many people consider only calories, but not the speed at which those calories are encouraged to be stored as fat. Eating high GI foods (eg bread, potatoes, banana) is ok, but eating some protein beforehand can help lower the resultant GI. Great tips. The best kind of weight loss is healthy weight loss. Perhaps the exercise point is a little under emphasized. People who have not exercised before should start with moderate exercise. Bu eventually, they have to move to strength training, flexibility exercises and more challenging cardio. This is unless their doctors have prohibited this. This is a key component of natural weight loss as it helps to normalize hormones. Walking is the best exercise and housework like washing, cleaning and moving the lawn also burns calories. In case you are unable to resist the carrot cake then eat a spoonful of the same and just stay satisfied. Distract yourself or listen to music to avert the urge to eat more. Cultivate a hobby or relate to friends who share your thoughts and will help you in achieving your goal . Great article. Everyone forgets to drink enough water. Even having a glass of two just before dinner will make you feel full and eat less. Another thing too is you must be dieting for the right reasons. Understand the health benefits, don’t just concentrate on getting skinny and looking good! Fantastic blog! I actually love how it is easy on my eyes as well as the facts are well written. I am wondering how I could be notified whenever a new post has been made. I have subscribed to your rss feed which should do the trick! Have a nice day! Excellent post on natural weight loss. Weight loss is one method of keeping oneself attractive and healthy as well. There are various ways to lose weight like continuous physical exercises, not skipping meals, eating at proportioned and right amount of meals, doing yoga and even through pills. Excellent write up on the ways of loosing weight. This is the most difficult thing to do. It requires a person to go out his/her comfort zones. Unless a person will not sacrifice nothing will happen. Thanks for the post. I would like to add some points which I found handy to lose weight. Replace half the oil in salad dressing with broth or water, Use yogurt instead of mayonnaise or sour cream, Thicken soups and sauces with pureed vegetables instead of flour or cornstarch, Use bouillon instead of gravy on meats and casseroles. It really works. Try it out and let me know about the results. I am quite sure that anybody who would follow these 10 points would certainly get started loosing some weight and it would not subjected to loose his energy with the dieting. By the way thanks for this post as now a days we need to diet in proper way which you have explained it very well. Nice basic tips for healthy eating. I used to try going for complex eating habits, with very regimented eating. Now I’ve figured out that developing straightforward habits not only works, but it lasts. That’s the most important part to me. People have developed such bad eating habits nowadays that many find it hard to start eating healthy. A big misconception most people have about healthy eating is that healthy food does not taste good. Its false! Yes it is very different than the taste of your favourite burger. But you need a period of adaptation! Learn how to cook good healthy food, and you’re never going to want to go back to burgers and hot dogs! Yes avoid sweets altogether if possible. This is great advice. I find that the longer I go without sweets the more I lose the taste for them all together. This is great advice for anyone to follow. I appreciate your blog that giving importance to weight loss and its measures. I have enabled my blog to be dofollow for last 3 weeks and seeing over 2000 spams a day. Its so annoying. I am glad Akismet is helping a bit but I also have noticed, time to time good comments are being flagged as spam by Akismet. Loosing weight naturally is the right way do this job or else suffer from different disorders that are being caused my different medical weight loss treatments that are available in the market. Thank you very much for your advice…. Your tips are truly great and I found it helpful and actually I want to share this article to my friend who wanted to have a weight loss naturally. It’s really even better than the taking pills or using artificial ways. Interesting tips! I have never heard the snacks after dinner tip, but I may look into it. I know you say moderate exercise, but I would also encourage practicing some kind of sport at least once a week…. These are all good ways to lose weight in a healthy way. I eat about every 2-3 hours and I have lost about 15 lbs in a month and a half. I also exercise frequently and eat a lot of green vegetables. Yup! i agree with you on those ten great ways that you have shared with us for loosing weight and it seems that it would surely going to work if someone really follow it…. Thanks for sharing it…. I am pleased with the post. I admire your tips and advices that you have given in your post about loosing weight and it seems that if a person follow these advices in a proper manner and regularly, then surely he’s going to loose some weight…. Thanks for the post….. Eliminate the use of bleached white flour products. The valuable nutrients of the whole grain have been removed. Frequently, bleaching and preservative agents are also added that create disharmony with the body. The chemical processing strips as much as 80% of the zinc, magnesium, Vitamin A, and 50% of the manganese, just to name a few. Whole grain cereals and flours are an excellent source of protein as well as B complex vitamins, Vitamin B and unsaturated fatty acids and are also important to keep your colon healthy. Highly recommend eating the 6 meals a day too. This is so important in maintaining weight because then you are not hungry for that seafood restaurant and you are able to eat smaller meals throughout the day. I can’t even drink 2 glasses of water/day, no matter what I do. I know water is important for losing weight. Any ideas why I can’t drink more water? Should I visit a doctor? I am not sure what you mean when you say you can’t drink more. What actually happens when you try? Just force yourself, and slowly increase your intake over the next few weeks, day by day. I don’t think people realize how important drinking plenty of water is when it comes to weight loss. You can lose a couple of pounds with diuretics but when it comes to real sustainable weightloss that is not going to work. Drink lots of water! Thanks for the tenth point. But I can’t be happy due to my problems in life. Thanks for the tips Petra. I am sad to hear about you having problems in your life and thus not being able to be happy. Try to find good in the tiny little things that happen in your life – like waking up to the sun streaming through your window. Try to take a few minutes a day focusing on good things, and concentrate on it. Little steps will get you to a more balanced and happier life, too. I agree that we must first checked the condition of our body before indulging in some diet program. Glad to read this information, be back for more readings. I couldn’t agree more. All your tips are great. I really think that good organic, raw fruits and vegetables are so important if you want to lose weight naturally. I’ve also done some research on the low glycemic index diet as well, sometimes call the hypoglycemic diet. That seems to really be helpful also. Sometimes I’ll engage in vegetable fasting for weight loss. That seems to really help as well. And going on a nice detox cleanse every now and again is great for weight loss as well. Great article. Thanks for sharing! This is really solid advice for losing weight. I am glad to see something sensible, instead of the fad diet stuff that floats around most of the Internet. This is a good outline for healthy, reasonable weight loss. Thanks! I totally agree with this post.. When I started diet about 1 year ago I’ve been doing this and I lost almost 30 kg in my first few months.. Point number 9 is my main point because although you don’t eat much, but u take lots of sweets, it still hard to lose the weight. I also prefer to lose weight in a natural way. So pleased to read some information about this 10 great way to lose weight; so pleased to have drop by in this post. If you eat lots of vegetables weight loss comes a lot easier. In the winter eating lots of home-made soups can burn a lot of calories especially if you put cabbage in them. I think I know why homemade chicken soup is supposed to be good when you’re sick. You make it by cooking the chicken with the bones in and I believe that released the nutrients found in the bones and joints into the soup. One product I would really like to try is SuperFood fast LivingFuel SuperBerry. It sounds like an easy way to do a liquid fast and lose weight and toxins too. These are great tips and I hope I could keep them. I actually eat several times a day eversince so I will not be having a hard time on this tip. what a great list! I like your ideas. 1. Don’t rush into the toughest diet you can find. 2. Don’t lose touch with reality. 3. Don’t go to the gym too often. 4. Don’t get hard on calories. 6. Don’t check the bathroom scales everyday. 7. Don’t let emotions drive you. 8. Don’t refuse to seek help. 9. Don’t deny yourself your favourite foods. Really liked this post. I lways forget the water; must remind myself, because it works. So glad you gave me the go-ahead on the dark chocolate. Love it. Petra this is a good reminder of all the things we should be doing and eating. my reading your post is timely. On the BBC today they had a debate about obesity and it’s causes etc. Apparently there are more than 1 billion people on the planet who are obese. Apparently a large percentage of children are now overweight. None of this bodes well for the cost of running the health care systems around the world. It was strange watching the show, because just before it there was a newscast on the lack of food for the flood victims in Pakistan ( not too mention the millions starving elsewhere). Too bad there can’t be a balance. The right way to loose weight is loose it naturally and i am sure that the tips that you have shared with us would be quite helpful for us in loosing the weight. Thanks for the post…. Eat atleast 3 apples a day (1 before each meal) and instead of artificial sweeteners or sugar, use honey as much as possible. Have a tablespoon of honey at bedtime. All this can promote much faster and healthier weight loss. 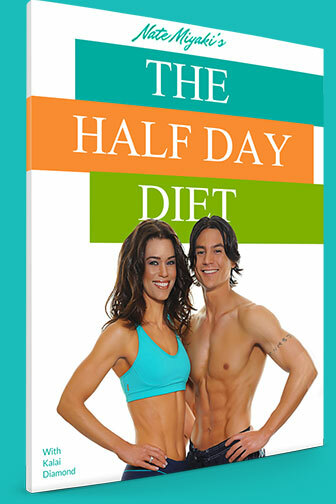 Now you can enjoy fast weight loss and avoid unhealthy methods too! If you can combine this with exercising, then that’s great. Exercises like cycling can be good for weight loss. Jumping rope is another good and fun exercise to lose weight fast. I totally agree with you. It’s a lot of ways to lose weight. But my question is what is the correct way to lose weight? I been reading a lot of article and everybody is saying different stuff which will confuse anyone that is trying to lose weight in my opinion. To many Healthy Eating Menu out here. But your article is worth reading thanks for sharing. 75. Stay active in winter. 76. Play with your kids. 77. Flavor foods with herbs, spices, and other low fat seasonings. 78. Remove skin from poultry before cooking to lower fat content. 79. Eat before you get too hungry. 81. Stop eating when you are full. 82. Snack on fruits and vegetables. 83. Top your favorite cereal with apples or bananas. 84. Try brown rice or whole-wheat pasta. 85. Include several servings of whole grain food daily. 86. When eating out, choose a small or medium portion. 87. If main dishes are too big, choose an appetizer or a side dish instead. 88. Ask for salad dressing “on the side”. 90. Park farther from destination and walk. 91. Try a green salad instead of fries. 92. Bake or boiled fish. 93. Walk instead of sitting around. 94. Eat sweet foods in small amounts. 95. Take your dog on longer walks. 96. Drink lots of water. 97. Cut back on added fats or oils in cooking or spreads. 98. Walk the beach instead of sunbathing. 99. Walk to a co-worker’s desk instead of emailing or calling them. 100. Carry your groceries instead of pushing a cart. 101. Use a snow shovel instead of a snow blower. 102. Cut high-calorie foods like cheese and chocolate into smaller pieces and only eat a few pieces. 103. Use nonfat or low-fat sour cream, mayo, sauces, dressings, and other condiments. 104. Replace sugar sweetened beverages with water and add a twist of lemon or lime. 105. Replace high-saturated fat/high calorie seasonings with herbs grown in a small herb garden in your kitchen window. 106. Refrigerate prepared soups before you eat them. As the soup cools, the fat will rise to the top. Skim it off the surface for reduced fat content. 107. When eating out, ask your server to put half your entrée in a to-go bag. 108. Substitute vegetables for other ingredients in your sandwich. 109. Every time you eat a meal, sit down, chew slowly, and pay attention to flavors and textures. 111. Make up a batch of brownies with applesauce instead of oil or shortening. 112. Instead of eating out, bring a healthy, low calorie lunch to work. 113. Ask your sweetie to bring you fruit or flowers instead of chocolate. 114. Speak up for the salad bar when your coworkers are picking a restaurant for lunch, and remember calories count, so pay attention to how much and what you eat. 115. When walking, go up the hills instead of around them. 116. Walk briskly through the mall and shop ’til you drop … pounds. 117. Clean your closet and donate clothes that are too big. 118. Take your body measurements to gauge progress. 119. Buy a set of hand weights and play a round of Simon Says with your kids – you do it with the weights, they do without. 120. Swim with your kids. Wow what great list. Thanks for your more tips. I would like to add just one little thing to the list. Try to eat more organic food people. We all know vegetables and fruits are good for you, but they also have to be good vegetables and fruits. I like this post because you agree that natural dieting is the way to go. WAY too often I hear about the next ‘trick’ to losing weight and that ‘dieting’ doesn’t work, etc. etc. on the radio and the t.v. Guys, those ‘tricks’ and special work out machines and dieting pills are all BS. You need to get into a regular exercise routine, and eat quality, healthy food. You’ll feel better, have more energy, look better, and you’ll lose weight the correct way, and keep it off. It’s difficult for me to stick to a work out routine and I’m a kick boxer. You need to sign up for a class, or get a work out buddy, or design another way for you to stay dedicated. This is a daily thing. Good luck! People who try to diet usually end up gaining all of the weight back within a few weeks. Reason: when we deprive ourselves of food, we end up craving it more and then end up blowing the diet. Try this: instead of going cold turkey on sweets, just cut out your after-dinner dessert. Even shaving those extra 200 calories from your daily diet means taking in 6,000 fewer calories a month! Finding a good way to diet is to do a review on the diet and with out exercise and some motivation people don’t diet long they same to fall back to eating the fats food. I realize being on a Low Carb Diet Menu will be better for anyone that is looking to lose weight. But you do have a great article where to read and understanding weight lose. Great articles you have here. Diet is a tough journey to go down. When you looking to lose that fat mainly around your belly you need a good diet plan and a Flat Stomach Exercise will help people get in shape but when they looking for a diet and some exercise routines people make them hard to find but your articles is every understandable good job. I think eating 6 meals a day is excessive. I prefer the two meal a day method. Tech, I urge you to have a look at BodyTrim – it will be an eyeopener when it comes to meal frequency. Thanks for those great tips!! Thanks for sharing such a nice article,i guess the important point is consistency and persistence.Lot of people start the drill and then leave in the midway .You have keep yourself motivated to go on and on and on.No excuses of shortage of time,or i am tired ,etc etc. My favorite way to combine losing weight and eating healthy is working in the garden. Picking and eating vegetables fresh off the vine is a great “meal” – especially when the sweet corn is ripe or now when the cherry tomatoes are so delicious. I agree with Robinson that dieting is a mistake. There are two things that trigger our bodies to burn calories: moving and eating. Many believe that not eating causes our body to actually store more fat because it believes their is a food shortage. I wonder it the weight so many are carrying is really “fat” or might not be toxins? What do you think about that idea? I’ve subscribed to comments in hopes you’ll answer – I just hope I manage to see the notification. I get so much email sometimes I can’t read it all. I believe that the weight we are carrying is really fat, sorry. I have learned that if you only eat a few meals a day and have long periods of not-eating in between, the metabolism slows down and the body starts to store fat. Unfortunately lots of people who are trying to lose weight start off by eating much less, and possibly only 2 meals a day. That is so wrong because it gets the body to start storing fat. Also, lets face it, a lot of us have very unhealthy eating habits. That’s no wonder that we are getting fatter. Snacking is one of the biggest enemies of a weight loss plan. Eating healthier snacks can actually make you want to eat less. Reason: your body craves healthy food. When you eat right, you will be less hungry. One of the things my hubby and I did was to get pedometers and get to 10,000 steps per day. I was amazed at how little I walked on days I did not get out to take a walk. Another thing we did was include a lot more veggies in out diet. Now I am not a real big veggie eater so I had to hide my veggie somewhat. This has become my favorite recipe. It is filling and very good. Thank you for wanting to share a recipe, but unfortunately the link does not seem to work…. One of the biggest issues with weight loss is yo-yo dieting. What happens is people eat far too little, causing their metabolism to slow down considerably. Then their body requires even fewer calories to hit weight loss/gain break even point… meaning if you don’t restrict your calorie intake even further you will gain weight. Dieters can get caught into a cycle that results in dramatic weight loss / weight gain cycle. I agree with your 10 ways to lose weight naturally. I am not in favor of people taking diet pills to lose weight. Because most of the time the weight will return when one stops taking the diet pills. Thanks for sharing. This post proves that how some small changes in one’s eating habits can make a huge difference when it comes to losing weight. My daughter has been hardly trying to lose weight and it was not a success. Glad I found this post… I’ll suggest this to her. I just hope she can stick with the plan. People need to learn that when dieting and exercising they need to commit for the rest of their life. If you really think about it you are making a right decision. It is time to eat what your body needs and wants not what your mind desires. I hope that more people go on diets and choose to be healthy. Another tip when it comes to losing weight that I have found helpful is understand the true health benefits and use this for motivation, don’t just diet to look good! Think of the decreased risks of heart attack, stroke, diabetes etc etc and use this to motivate you to lose weight! Hello Petra! I noted all of these 10 ways on losing weight naturally. These will surely help us obtain the weight that we wanted without having bad effects on our body. Natural ways will always be the best! Thank you very much! I’ve found the eating 6 small meals to be very good for my energy throughout the day. It just takes some planning and a bit of discipline to keep it consistent but once you get use to it, it becomes easier. Thanks for the tips Petra. Great Post. Thanks for such a wonderful information about how to reduce weight without opting dieting and also thanks for the 10 Great Ways to Lose Weight Naturally. Always do your research! As i do with benzo fury in my job!! Research the possibilities when losing weight, see what you can achieve which is essentially best for you! I’m not trying to lose weight or anything but I’ve been drinking at least 8 glasses of water a day because my wife said it really is good for our health. I like the part when you said that we should be happy with our selves but it also feels good to look good. Thanks for the tips, Petra. I particularly agreed with your weight loss tip about making your evening meal the smallest of the day. Breakfast like a king, lunch like a prince, and dinner like a pauper! I have been doing this for awhile and I find the easiest way is to use a bread and butter plate for your evening meal. The food that you can fit on that will automatically cut your evening food intake in half. Great idea, Dawn! Thanks for sharing! I never thought about protein snakcs in between meals – even before going to bed? Nice. I’m not on a diet, but i’m putting my fiance on a strict diet. Looks like you have a lot of good tips to share. Thanks! Loosing weight takes a lot of time. You need to have self discipline in order to achieve the result that you want. I agree with the 10 tips that you shared, it is more better to loose weight naturally rather than taking diet pills. Thanks for the tips, it will surely help people who wanted to loose weight. Good post! I agree with you. The amount of meal and how frequent I eat have been very effective on my part. Also, drinking water as much as you can especially before meal can help you control your food intake. Thanks for sharing. I agree on your approach to weight loss and your 10 ways to lose weight. Good luck in losing weight. You have introduced nice tips to lose weight. Drinking water is good habit as it enrich our metabolic process and danger of blood pressure and heart attack reduces. Drinking good amount of water also saves us from skin and kidney diseases. The bottomline have a healthy lifestyle eat what right and avoid those food that have significant effect in gaining weight. I started biking to work and that changed me from gaining weight to looking absolutely toned and tanned! I also changed my diet, but mostly I just stopped eating out… I mean 100% stopped eating out. I think you gave good advice. I am a vegetarian so I do not eat meat, but I do eat a lot of beans and greens. I have found myself lately grabbing a handful of nuts for my mid-day snack so I suppose that counts! Also, I think having a glass a water right when you wake up is awesome advice. In addition with this should also try to drink green tea we know tea are pack with vitamins, mineral and antioxidants its also also contains fat burning ingridients like catechin and carnetine. There is one ancient Chinese proverb even states, better to be deprived of food for three days, than tea for one. Great tips and a load of valuable information, thanks for sharing!!! Great advice for all those looking to lose weight out there. These are some easy steps that are not all that difficult to remember. Probably the most important is to drink water!!! Not only will this help your body with a way to release calories and get them out of the body, but it will also help the detoxification of the body and allow for natural weight loss. Love the blog! Thanks for the great advice! It is lways advertised as being easy, but it’s not. These are some reasonable tips that I think I can stick with every day! Great article to have a safety health diet plan. When we choose instant weight loss option it will give lot of side effect but these natural diet will always helps without side effects. Great post you have here Petra. And John Mitchell’s comment is a big addition too. Drinking at least 8 glasses of water a day indeed is a very natural way of losing weight. We tend to eat something right away every time we feel like eating even if we don’t really know what we are hungry for. In case, the best way to ease yourself from craving unnecessary eating is just to drink water. H20 instead of calories that is. i have some problems with my weight. thank your for your great post. Now i am starting applications. Thanks for these plentiful information that you’ve shared to us. It’s true that we don’t have to put our health at risk just because we want to lose our weight. With this natural way of losing weight, we can guard our health and can also lessen the risk of having other diseases. We don’t have to deprive our selves on the things and the food that we want, we just need to have a self discipline on this things. Here is the way I look at losing weight. If you consume more calories than you burn then you are going to gain weight. However, if you burn more calories than you consume then you are going to lose weight. Simple, it is like a math equation and it hasn’t let me down yet. A lot of websites about this topic have a range of ideas to lose weight naturally but the best way would be to drop the carbs, exercise regularly and eat plenty of fruit & veggies. I follow most of these tips, such nutrition habits feel quite natural for me. The only point I was surprised by is the one about drinking 8 glasses of water a day. I have never drunk so much water, even in summer I guess, but I’ll try, If you say it’s healthy and helps to lose weight…Thanks! I agree that instead of trying one kind of diet after another we should make healthy lifestyle changes that are permanent. Most diet pills can make you nervous and jittery. Can I provide one tip here. Eat fruits and drink fruit juice either ½ hour before or ½ hour after meals to allow proper digestion of protein. Your tips are really great, and i hope these will be very helpful to reduce my weight. Eating apples is the best way to lose weight naturally. Apples fill your stomach faster as they contain pectin. Pectin is known to make you feel full and you will also retain that feeling for a longer time. Apples are also so-called “Negative Calorie Foods” which make them even better to eat if you want to lose weight! Fascinating article. Some (but not all) of these tips I tell my friends and family when they ask me how I dropped the fat. I especially like #10, it pays to stay positive and happy no matter what. This is exactly how I think about losing weight! I cannot imagine trying to lose weight another way! Thanks for reinforcing such a natural way to lose weight! Feast away on apple slices throughout the day, and you’ll be less tempted to hit up the vending machine to satisfy your sweet tooth. Great list. One thing that tends to work well also is cutting down on sugar. If you keep your sugar intake to less than 10 grams a day (yes that isn’t very much) the pounds will come off. Eat banana can be a good choice too. Banana have an important nutrients include magnesium, calcium, antioxidants and other vitamins and minerals. I think #1 hits the nail on the head. Losing weight or even controlling your weight has almost everything to do with controlling your carb intake. Grains actually are not biologically needed in the body and we can get all of our carb requirements from fruits and veggies. Avoiding grains, all refined carbs, and sweets will get you the body you want quicker than any other way of eating. Very nice article. Steam vegetables or cook with a minimum amount of water and for as short a time as possible to minimise destruction of vitamins.. Use that water for soups, broths to lose weight. Thanks for posting this one. Very valuable info. I’ll be needing this. lol .Losing weight is my top of the list. Have a great day! One question I do have. You propose to eat every 2-3 hours. Other experts propose strictly 3 meals to force metabolism into fat burning. Do you have any idea what the good reasons would be for one or the other strategies? Good comprehensive list. I’m currently doing P90X, but I’m not sure how natural it is to feel like all of your muscles fall off! I suppose the main thing is to stick with whatever you decide. Weight loss is certainly related to willpower and teamwork. eating an apple daily can prevent lower cholesterol and reduce skin diseases. Apple contain tartaric acid, that can help prevent disturbances of the liver and digestion. Very good article that you wrote. The body burns off natural fat faster and eating more meat will benefit the body. Also eating more green vegetables will help stimulate the body to burn fat faster. We should stay away from corn and carbs. I think another tip that worked really well for me is to eat high protein foods like nuts, beef steaks grilled with fat dripped away, yellow fin tuna, or any high nutrient concentrate meals with low carbs. While this might sound like a gym training diet, it actually works wonders to help lose weight. This is a great list of suggestions! I totally agree that you must keep your metabolism going. I always crave crunchy things, which always happens to end up being chips. However, I have started keeping snow peas around and they satisfy my ‘crunchy’ craving. Although it isn’t the same flavor, it is much better to have around to snack on. Drinking ample amount of water detoxifies your entire digestive system. It also helps to reduce overeating and hence promotes weight loss. This list has been real helpful to me. After all the celebrations over the holiday period, it has become highly important to me to lose all the extra weight I gained. And this will certainly come handy!! Its been some time since this post has been made, so I hope u find the time to put new stuff up to share with us. Cheers. Yes indeed you have a nice list out there. In fact weight gain has a direct relation to a number of things such as primarily your diet and exercise regime. If one has a lifestyle of eating very rich and high fat food but seldom does exercise weight gain is obvious. Everything has to be in moderation and should be balanced. I used to workout, burn those calories then follow a strict diet regime. THEN by evening I used to be a hog. I was undoing all the good work done till afternoon by being a glutton by evening. Fruit juices, wheat cereals, salads were suddenly misplaced by cheesy burgers and greasy Chinese at nights. Is there a way to stop this behavior? Great tips for having a healthy diet. I’ve learned a lot from your post since I’m eating much sweet foods after dinner as my dessert, now i know whats the reason why i gained some weight. I guess your tips would be a big help to me. I’ll just try my best as well to have atleast 8 cups of water a day. Lose Weight and Gain Control With SENSA. Try it Free! Great tips! I agree that breakfast should be the biggest meal of the day. It’s often the case that how you start out your day will dictate how the rest of the day goes. I agree with you this i recommend this to myself lol, I’ll badly need this. walking, eating health food, walking every day is a natural way to get as you assume in your body. and drink a lots of water..indeed this. thanks!!! Thanks for the amazing list! I’ll be sure to apply some of these methods right away! These are some fantastic tips. I have a friend who is rather over weight and he gets sucked into these “lose weight fast!” programs that really are just crash diets. what people need to realise is that to lose weight long term you need to make LIFESTYLE changes and this involves eating healthily. iron gym´s last blog post ..Hello world! Have to agree that this is the most brief, but extensive bit of information on how to naturally lose weight! Thanks Petra! Its consistently great to learn guidelines such as you part targeted blog posting. As I only began posting remarks targeted blog and dealing with trouble as in lots of rejections. I think the suggestion would be useful for me. i’ll let you know if its function for me too. That was a nice article I agree with. I also think its worth mentioning that carbohydrates is probably one of the biggest culprits of weight gain. It’s perfectly fine to eat them for breakfast and lunch when your most active, but we don’t actually need much long lasting energy while we sleep. So for those of you who are trying to lose the weight, I think it’s worth lowering the amount of carbohydrates you eat in the evenings. This article of yours is helpful with my dilemma. I’m in my mid thirties, and i want to have a nice set of abs before i grow too old to have them. After some research, I learned that before any muscle definition can come out, i need to lose all my body fat. Crunches won’t be any good until i trim my waistline. These tips you gave on how to lose weight is something i’ll have to incorporate into my daily routine. Thanks for these tips! Have you guys have ever tried the General Motors Diet…. The diet is written both for veggies and non veg eating people… It’s a & days diet and you kind of loose up to 2 to 3 kgs per week and believe me its very effective.. check out the following link to further know about the GM Diet ….. http://www.iimahd.ernet.in/~jajoo/gmdiet.html …. And do let me know if any other query in your mind…. Just give it a try…. The best way to get energy and to maintain your weight is use fruits as fruits have vitamins and no fats. Fruits makes your metabolism fast and active. No blockage of arteries. Great advice. I also find that getting the protein in early helps, as does soup (or a hearty stew) for lunch. The trick to losing weight is to avoid hunger while your stomach is still shrinking, and for that you need to try to keep it full, so soups to fill, foods that digest slower and hormones to suppress hunger. Nicholas, try to eat dinner around 6 (not too many carbs, mainly meat and vegies), and then after the gym maybe a piece of fruit. Something healthy and not fattening! Petra, these are awesome diet tips! I think I’m gonna follow some of it in the future but now I’ll stick to water fast until I finish 15 days. Thanks for sharing! Keep us updated. I might even be able to lose some weight! I love this post, I have to lose weight for personal reasons and this would be great to keep me on the right track. Eating every 2-3 hours is SO important and I am glad you included that in your list. I don’t like to drink water on an empty stomach, so it actually helps me to eat a light snack and get in my daily fruit, raw veggies, and nuts and never really feel like I have an empty stomach. This helps me get in my 8 glasses a day! That is just a side benefit of eating every 2-3 hours, the main benefit is keeping your metabolism going. Skipping meals sends a message to your body that it needs to store fat for energy because it doesn’t know when it will get fuel again. Awesome blog. Glad I found it! There were lots of things I tried to lose weight but now I see that everything started to work when I became vegetarian. Although it requires lots of research and change in your nutrition, it works. Hi this is my first time visiting your blog and I really appreciate you for bringing awareness to your readers explaining them the benefits of choosing natural methods to lose weight. Complex Carbs (whole grains, breads, cereals, etc.) are vital to maintaining your energy throughout the day and do a host of other things within your body including keeping you feeling full. I’ll also lump fruits in with complex carbs, because of their high fiber content and slow absorption into the blood stream, keeping our insulin level in check, which is important for less fat storage and a higher chance of burning stored fat. Simple Carbs, or sugars (candy, soda pop, white processed baked goods, etc) are to be avoided and kept to a minimum for the most part. They provide little nutritional value to you and are what I often refer to as empty calories. They just add calories to your body with little or no nutritional value that are going to end up in your fat stores if you’re not careful with how much you ingest. Forget about maximum fat burning here. Of course, many people are aware of the blood sugar and insulin connection with eating too many simple carbs. Our insulin regulates are blood sugar level and takes any excess sugars and stores them as fat. We then are stuck getting tired and hungry, making repeating this cycle far too easy. The best way to avoid this, I’ve found, is eating a sensible amounts of complex carbohydrates instead. Proteins (lean meats, fish, poultry, soy, beans and legumes, etc.) are important to maintain the cellular structures in your body and provide the building blocks for the lean muscle you’re after, which is vital if you want to burn fat fast. But with anything else, don’t go overboard with protein. Some fitness experts claim that you’ll need a minimum 1 gram of protein per pound of bodyweight each day. There is no real proof that this is the case, and ingesting more protein than your body needs ends up going to your fat stores…plus it doesn’t do your kidneys or liver any good either. I’ve found that keeping protein to around 0.5 grams per pound of bodyweight each day more than sufficient in feeding the lean muscle growth that stimulate with properly performed resistance exercise. Another important aspect of protein involves whether or not you’re getting your protein from animal or plant based sources. While the traditional American diet recommends most animal based proteins, recent data suggests that too heavy a reliance on animal proteins increases risks for disease. On top of that, animal proteins contain almost no fiber, which doesn’t go very far in keeping you feeling full, and negatively effects your ability to burn fat. When choosing your protein sources, make sure you eat a good portion of your protein from plant sources (soy, beans, legumes, etc.). You don’t have to be a vegetarian, but I recommend keeping your animal proteins on the low side. Fats (found in many proteins, nuts, oils, etc.) are essential to maintain certain bodily processes like hair, nail, and skin regeneration. There is a lot of confusion with fats out there, some recommending extremely low fat diets and others even recommending a very high fat diet. If you are focusing on lean protein choices in your meals, and including small amounts of healthy oils, nuts, and seeds in your diet, your fat intake will be in order. So how much of each of these macro nutrients should you be eating to maximize fat burning and get that lean fit body you’re after? It’s easy to get caught up in the percentages and counting calories, but the easiest way I’ve found is to count portions instead of calories. An easy way to ensure that this happens is to make sure you eat both a portion or two of complex carbs and a portion of protein at each meal. Add as many green veggies as you can eat, as they’re super low in calories and provide more fiber, enzymes that aid in digestion, and vitamins and minerals that will be more than adequate for most people. Remember, focus on nutrient rich foods and you’ll find that burning fat and getting healthy will seem like a natural. How many times per day should we be eating to burn the most fat? I can tell you that three meals a day is not going to cut it when trying to burn fat fast and get lean, at least not in my experience. In fact, if you wanted to get as fat as possible, you should eat all of your daily calories in one meal. Eating smaller more frequent meals throughout the day is the fastest way to fat loss. It fires up your metabolism, as every time you eat something, the metabolism kicks it up a notch. Try and eat 5-6 smaller meals per day, spaced about 3 hours apart. Now, I know many people don’t want to be taken out of their breakfast, lunch, and dinner routine…so you can still eat at those traditional meal times, but try cutting back a bit on how much food you eat at those meals and add those calories into 2 or 3 snack meals in between. A snack meal could be a protein/energy bar or maybe even a piece of fruit and a slice of whole grain bread. So you see, eating for a lean, strong, and healthy body isn’t so difficult…and it doesn’t require you to eliminate essential foods like complex carbohydrates from your diet. In fact, doing so will put you into the cycle of confusion of fad diets that is all too prevalent in fitness today. And that’s a cycle that’s tough to break out of. Focus on foods your body craves naturally instead, and the rest of the details will be easy to implement into your lifestyle. Before long you’ll start to burn fat faster than you might have thought possible. Rob Poulos is a celebrated fitness author, fat loss expert, and the founder and CEO of Zero to Hero Fitness. Rob created the world’s most efficient method for fast and permanent fat loss with his “Fat Burning Furnace” system to help those looking to put an end to restrictive fad diets, long boring cardio workouts, and the need for super-human willpower for good. Also, it may help to read about the success stories of others like you to see how people in similar situations have changed their bodies and their lives with the techniques http://idealweightquickly.com . I really like your list. I already know what it is all about with the glicemic index but if someone asks me I need few hours to exaplin him how to apply this. You were concise and with 10 simple tips anyone can make a great diet. I’m also trying to lose right now and I try to do it perfect but I’m getting lost in details and i forget sometimes important stuff. I am also a fan of low calires diets ( not extremely low but to avoid the ones with high GI ). What do you mean saing protein snack? Proteins in great amounts are used for weight gaining, so just for a snack some fruits will be fine, vegetables and juice. And another point. Stairs.. Chose them but not if you lie on the 50 floor and you have heart problems, ok? All of these points are great! One of the main things people lose sight of is a diet is not about depriving yourself or feeding yourself all kinds of diet pills. This in fact only does more damage than good. A good diet is a lifestyle change and something that overtime will not feel like a diet at all once you get used to it. It is all of this starving ourselves and over the counter supplements that is causing everyone to mess up their metabolism, burn out and later gain more weight than what they started with. You must eat to lose weight and eat often, just learn how to eat the right things. Wow! it is good tot know that I can actually shed some extra pounds without necessarily subjecting myself to rigorous exercises. Glad to hear you talking about low GI, it really is a good way to eat. Many low-medium GI foods are more natural than most of what we eat today. It is a certainly a good framework to base a healthy eating plan on. Really the best way to manage weight is a healthy diet and regular exercise. Whether someone wants to maintain their weight or lose some, these simple rules apply. As you say, no need for diet pills or other gimmicks. In fact, no need for “diets” at all! I’ve lost 18 kilos in about 5 months by following exactly what is written in your article! I’ve combined these tips with Greek food and kitchen and some exercise. I would like to thank you very very much for this great article! Great article even if I don’t agree in it all. I totally agree that your diet should be natural and healthy and you will loose weight naturally. What I would like to add is that all dairy products should be eliminated from your diet as they are not healthy. Meat, poultry and simple carbs as well. The best diet is a whole food (unprocessed) plant based diet. Animal protein is not healthy. I have just finished reading the China Study, a must read for all that care about own health”. Findings after more than 40 years of study indicates that animal protein initiate cancer growth. The whole food plant based diet is recommended, it will prevent most “western – diseases” like cancer, hearth problems, diabetes and more and even reverse this diseases. Be yourself and be happy, never stop dreaming! kristin – benefits of a healthy lifestyle´s last blog post ..YOU Have Cancer! Those are great tips, but I think the biggest part is the way we eat and what we eat. If you do everything else but still make the unhealthy food choices, you will not benefit and sustain your weight loss. Thanks for your advice or opinion or list. This one is the best blogs that I have ever read about weight lose. Thank you once again and if you have more tips then please share them also. 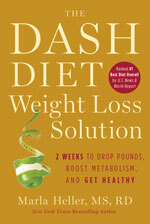 Hi Wu, I have actually just ordered a set of shakes from the Rapid Loss Diet – just to kick-start my weight loss. But like with everything – to achieve a sustainable weight loss, you need to change your eating habits, and you will not be able to sustain a diet where one or two meals consist of shakes. First, you have to remember that the aim of a weight loss diet program is to take weight off and KEEP IT OFF. Yo-yo dieting puts stress on your body that can make losing weight harder and packing it back on far too easy. It’s important to choose a diet plan that will help you make changes to your eating habits that will last a lifetime. What Kind Of Dieter Are You? Needless to say, exercise is crucial to weight loss. You can’t expect to sit on the couch all day, sip water and lose weight. Join a good gym that lets you work with weights. It will help you build muscle and your metabolism rate will increase. You’ll soon see the fat come off and in its place muscle will develop. Your body has to provide a lot of energy to digest the cabbage soup and realize the best fat burners effect.Where does this energy come from? You guess the answer: Your fat pads supply it! Also the diet fruits and vegetables, you’re allowed to eat unlimited, help your body burning fat. The fat burning cabbage soup diet itself is of course also very low in fat. A good diet should also include foods from all the food groups. The first is carbohydrates, the food for energy. The food that a person consumes should also have sufficient vitamins, minerals and fiber. A lot of this can come from oats, rice, potatoes and cereals. The best still come from vegetables and fruits since these have phytochemicals, enzymes and micronutrients that are essential for a healthy diet. Hi Petra! It’s really good to lose weight naturally. I’m afraid of diet pills and synthetic food intake suppressants. Just practice self discipline and stick to your goal of losing weight. Your body uses food for energy. It stores any excess energy as fat. This means if you eat more food than your body needs for daily activities and cell maintenance, you’ll gain weight. To lose weight, you need to get your body to use up these stores of fat. Fats which can come from mono and poly saturated food sources rather than animal fats only. Since fat contains more than double the number of calories in food, they should be taken in small quantities to lose weight. Any diet plan is designed to make the person induce reduced amount of calories into the body. This does not necessarily mean that the person has to eat less. It just means that one has to eat smart by choosing the foods that have less calories. This makes it possible for someone to lose weight without needing to go through hunger pangs as they try to eat less. nice post thanks for sharing this. I am thinking that the best weight loss program is a natural and healthy diet. I don’t think that people who actually want to lose weight have to try surgery or something like that. Exercising and eating healthy is the key to achieve the goal. Some people just need some help. Thank you for this article I think everyone should just read it because it is very useful. This is great, very well-written information. I am grateful for people like you who take the time to educate others about losing weight. Health is very important and a healthy body is worth achieving. Thanks for the great information! “10pm – BED!” – yes, early nights are really important. So many people get this wrong. Just going to bed on time can help manage weight better. Prepare moderate quantities of food to minimize leftovers for three reasons: A. Leftovers are tempting to finish so they won’t be left over. B. Leftovers, when reheated, lose most of their nutrient value. C. Leftovers are oxidized and interfere with normal functioning that interferes with weight loss. Thanks for the tips. I believe that having your smallest meals at night makes such a huge difference to weight loss. Since I do weight lifting, I have to go on bulking and cutting diets. If I want to gain weight I will make sure that I have a massive dinner. When I’m trying to lose any fat that has been gained alongside the muscle, I ensure that my dinner portions are small and don’t contain too many carbohydrates. Drinking 8 to 10 glasses of water a day will really helps our body detoxify and thus helps in losing weight. I also want to suggest that it is best to drink lukewarm water than ice cold ones when you are trying to lose weight. This is awesome stuff, its nice to be in the know. Hey, thanks for the great post. Honestly, about six months ago I started using the internet and there is so much nonsense out there. I appreciate that you put excellent content out that is clear and well-written. Good luck and thank you for the great tips. Great post, well written and informative, thank you! I’m taking your advice and appreciate your input. I really have allot of respect for your blog. Your content is just so wonderful and amazing! Please keep it going! So many people skip the most important meal of the day, because they are not hungry, or are too busy to make something to eat. This is great advice. Great list of tips you have given here, thanks for taking the time to share with all of us. This is perfect! I always see diets that say you CAN’T eat this and you CAN’T eat that.. The point is what do we earn for? Great post and definitely the most natural way of losing weight! It’s great to see that you’ve included on your list being happy for every little accomplishment you can do while on a diet. This can be a motivating factor to keep you steady with your weight loss goal. And what to reward yourself with can be anything as long as you don’t eat a lot for it! I’m not too sure about protein snacks. Anyway, the formula to weight loss and management isn’t a secret. Just do some physical activity to speed up metabolism and keep of fat, eat vegetables and fruits, drinks lots of water, portion control, etc. — just eat healthy, exercise and have a positive attitude. Let me add a big, easy one: CHEW YOUR FOOD PROPERLY! It will keep you fuller for longer and push back those next carb cravings! This is the absolutely best way to lose weight and keep it off. I was a little heavy when I was young and my mother cut out the fast foods, snacks and sweets. Our family loves to watch “The Biggest Loser” and all they do is exercise and learn to eat right. I implemented the “protein snacks” into my diet and it really helps. Just a little bit curbs the cravings until your next meal and keeps you from binging. Literally speaking, No.6 and No.10 are the best. You just follow them and see a drastic change in yourself. There are also some Health Deals available online which are also beneficial. Another tip that I’d like to add is that it helps to exercise in the mornings. At this time your metabolism is at its lowest. It’s called your resting metabolism rate (RMR). When you increase this, it increases your bottom metabolic rate … pushing everything else up as well. I didn’t know that eating protein could be able to enhance metabolism. Maybe I should try to eat tuna rather than eating sweet cupcakes as snack. And I have to increase the water that I am drinking everyday too. I lost 21 kilos in about 6 months by following a similar method to your article! I would like to thank you very very much for this great article! It’s not easy for me to have a proper lunch or breakfast because of work , but I do eat alot at night , which I know is very bad. The other problem I have is I get stressed , this is not letting me lose weight. Need to eat right, healthy foods – the key to success. Here’s another great tip. Make sure to drink a 16 oz. glass of water before every meal. You will consume about 15% less calories throughout the meal because you stomach is already full. Very good and usefull ideas. But you will hardly succeed without physical trainings. Something that a lot of people forget when trying to lose weight naturally is the importance of eating things with healthy fats as well such as avocados, coconut oil, nuts and peanut butter. Great post, I agree with eating more reagularly and intaking more protein foods. Simply eating more will keep your matabolism high and help your body burn more fat. Drink plenty of water. Have the occasional fruit juice but increase your intake of water throughout the day. Fizzy drinks have numerous amounts of sugar so by drinking water instead, this will really help you to kick-start that diet. It’s not so easy to lose weight. Mentioned 10 steps are really helpful although no 6 and 7 are more important and easy to follow. At least I think this way. Great tips!I would advice anyone to take exercise seriously.Am always doing simple exercises such as walking and jogging!Keeps me in very good shape!OOh!and also taking the stairs!Many people ignore but it’s a simple and effective trick. I want to reduce 40 kg in just 2 month is it possible if yes than what can i do for it? That’s too much, too quickly. Even if you would manage (what I seriously doubt) it would be extremely dangerous to your body, and you would very very likely put it all back on afterwards. Eating vegetables high in fiber and exercise are still the best ways to lose weight. Weight loss drugs are not only dangerous but not effective. These all sound like really great tips. Thanks for sharing! Regarding on this Article. I Agree about some tips to lose Weight. and Have a Healthy Body. For Example doing a Hard Exercise Every Day is Helpful and Important thing to do. and Also Eating a Vegetable is or Nutrition Food is Very Important to have a Balance Diet. Thanks for sharing. Really very useful tips to lose Weight naturally. These are some really good tips. I’ve been trying to drink more water lately, but it is harder than it sounds. This list make very much sense ! I love this list because it can help me and many others stay focused on the weight loss area. I LOVE SWEETS IN ALL SHAPES !!! But like you say, if I start with eating 6 meals a day I’ll probably not eat as much sweets lika I used to. If you are planning to lose weight, just follow these great tips and be contented of yourself. This is a really good content. I will try to do these healthy tips. I’ve read that a lot of blogs that say that the glycemic index is really hard to properly calculate and stay within the bounds of… have you found this to be the case? No, I don’t think it’s hard to calculate, but it is hard to stay within the bounds of if you like eating! 😉 You can calculate your BMI here. Very useful tips! I totally agree with you especially on tips 2, 3 and 6. I’m so guilty as I read tip number 6. I’m like the regular person around who likes to a lot during dinner. And I think it’s time for me to make some healthy resolutions now. #2 is very important … I always drink a glass of water before I go to bed, and right after I wake up. And drinking a glass of water before you eat will help you eat less. Thanks for sharing. Really very helpful tips to lose Weight naturally. I totally agree with this post by this article we can reduce our weight and make a healthy body. Great tips for losing weight!!!!!!!!!!! I find that the key to successful sustainable weight loss is the construction both and exercise program and a diet that work within your normal day to day life. If it becomes unpleasant or a chore, then you are less likely to stick with it for the long term. Make sure when you choose a type of exercise that you select something you enjoy doing because then you will be more likely to make the time to do it. The choices are endless everything from yoga to team sports. Roslin, you are 100% right. Whatever you do, it needs to be sustainable. Many people find that when trying to eat more natural foods that the grocery bill goes up, but there are several things you can do to help sustain the lower bill. Make sure you know what is in season in the produce department and stock up on those items. Also, if you live in an area with a local farmer’s market, then check it out. 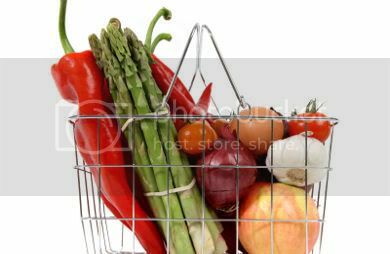 Often times you can save a little buying fresh fruits and vegetables there. The best way to lose bodyfat is to cut out starchy carbs until you are around 10% bodyfat. Eat a minimum of 4 times per day and make each meal consist of protein, fat and a small serving of non starchy vegetables. Whaen you are down to the desired bodyfat percentage you can add some starchy carbs back in. gr8 tips, I think it will work. Along with these foods drinking water keeps digestive system and kidney functional. Drinking a lot of water keeps the skin fresh and good looking. To go for exercise each day keeps worries away and very beneficial in reducing weight. This is a great post, I really couldn’t agree more with the advice to eat more veggies and lean protein. Also, water… it is such a critical component that many people overlook. Works so well to flush your system. « One Step Forward, Two Steps Back…Setback!